Large 16 litre capacity bucket complete with lid. Strong and robust with extra grip handle and pouring lip. 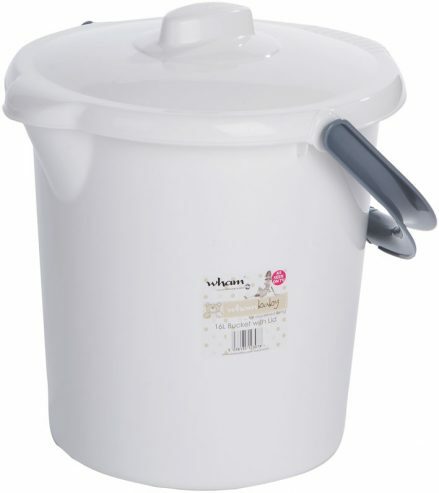 Ergonomic design features on the top and base of the bucket for ease of emptying. Ideal for use as a nappy bin.